dance.net - Highland Jacket Dark Blue (10247042) - Read article: Ballet, Jazz, Modern, Hip Hop, Tap, Irish, Disco, Twirling, Cheer: Photos, Chat, Games, Jobs, Events! 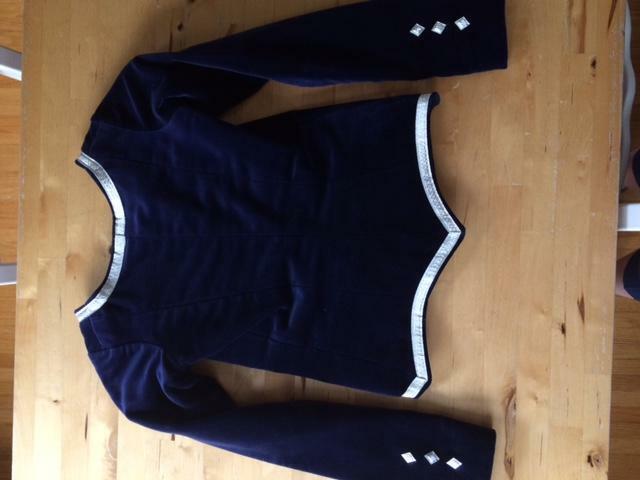 Dark Blue (not royal) jacket made by Karen's Kilts. Excellent condition worn for one season. Child was 9-10 years old. 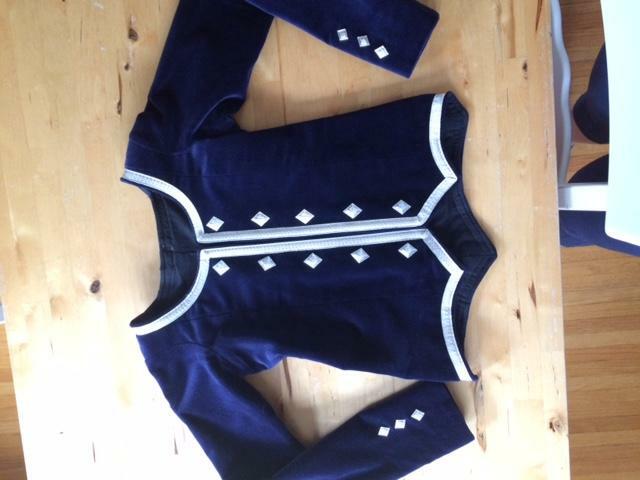 Front: shoulder seam to point 18"
Back: nape to point 17"
Sleeve: outside 20", underarm 18.5"
Jacket has traditional front hook closure (with velvet flap behind hooks). Will be at Uxbridge and Fergus (Ontario) for anyone attending those events.